We all have it, a drawer, a bag or a box filled with the junk that goes in our hair. If you don’t really venture into beauty and lifestyle gurus channels on YouTube, this is a curly twist on the ‘What’s in my handbag’ challenge, What’s in my Hair Bag. I’m not sure if this equivalent exists within the curly hair universe but here we go. This oil boasts the ability to help resist frizz in up to 97% humidity, and too keep your hair looking sleek and smooth for up to 72 hours. I’m not really certain if this product actually fulfils these claims and does reduce frizz. I’ve not noticed a massive difference in the amount my hair frizz’s up, but with curly hair, frizz is quite difficult to tame, plus I do like a little bit of frizz so my hair can look voluminous. However, as this product contains alot of alcohol, it can really dry hair out so its very unlikely it is as nourishing as it appears to be. Despite this I still really like using this product, admittedly because of the smell, this oil contains cocoa butter and coconut oil which smells DIVINE. To use this product I spritz my hair with water, split my hair into four sections using 2 pumps per section to aid with detangling before adding a leave-in conditioner, plaiting it and locking in the moisture with an oil on the ends. Loreal Elvive Smooth & Polish Aqua-Serum is for fine to normal hair and claims to leave your hair feeling smooth and perfectly polished, with no wisps or flyways. Despite having a lot of hair on my head, my hair strands are actually quite fine. This serum includes keratin-polish and camellia extract which compliments fine hair. I love this serum because it is really really REALLY moisturising and because as a water-based serum it is really lightweight which is really good as sometimes oil based products can be a bit too heavy and can weigh my hair down. It makes my hair really soft and shiny when I use it, and like it is actually coated in water but I’m not sure if there are any long-term differences to my hair. I use this product the same way I used the Garnier serum as a detangling agent before I moisturise it and fix it into a protective style. This mask is part of the Elvive Fiberology range which is supposedly proven to give you thicker hair. I use it maybe once a month because I have quite a lot of masks, but as I have relatively fine hair, I was eager to give it a go. I have to be honest, this mask freaks me out, it is BRIGHT PINK. I know I have other products that are also bright pink but something about the colour and the smell feels unsettling and extremely artificial. Despite this, I really like the thick and creamy texture especially when I apply it to my hair and it feels really saturated and coated. I split my hair into small sections detangling and applying generous dollops of the mask to each section working it into my whole head and leaving it in for an hour. This mask is by far my favourite! I use this mask maybe once every two weeks and I love how nourishing it is. Honey is one of my favourite ingredients because it is a natural humectant meaning it draws in moisture from the environment. This mask claims to replenish moisture, prevent breakage, and tame and control frizz. It isn’t as thick as the Elvive Fiberology mask but it is immediately sucked in by my hair. It is a lot lighter but extremely effective and nourishing. I split my hair into equal sections and detangled it before applying the mask to the sections of my hair. I then plait my hair and leave the mask to absorb overnight and then wash it out in the morning. I love the result when I wash out the product because my curls are ultra defined and left feeling moisturized, soft and very lightweight not crunchy at all. Since bleaching my hair and dying it purple, I’ve made an extra effort to ensure I do everything I can to meet my hairs needs and keep it as healthy as possible despite the inevitable damage of bleach and hair dye. This hair mask is specifically formulated to nourish colour treated hair. I find this mask so strange because it smells of mint. It contains mint and rosemary but I typically associate mint with cleansing products like shampoos so don’t expect it in a conditioning product like this. Rosemary is a great ingredient because it promotes circulation to the scalp slowing hair loss and boosts the shine of the hair. This product has strange consistency but I really believe it helps my hair to sustain its colour for longer. I apply it all over my damp hair leaving it to soak in for an hour or two before rinsing out with warm water and styling my hair. but it left a horrible greasy film on my hair. To use this product, it would have to be when I am not leaving my house and I would pour half the container in my hair and brush it into a bun while I chill in pyjamas and snack while watching movies because it is a really difficult product to use. Definitely not my fave but if you are looking for an intense product that is not thick, this is probably for you. Nothing really makes me feel as nostalgic as the Boots Essential Curl Creme that I got for £1.99 while in college when I first truly began trying to look after my curls. This is not the greatest product in terms of moisture or actual benefits but for £1.99 it definitely gets the job done and a little really goes a long way. This is the only tub I ever got of this product and in my first year of college, I loved it. It really gave my hair definition and bounce and was super cheap so if you are just starting or if your young and trying to find products that work but are economical, this is definitely something I would recommend you buy. To use this product, I would spritz my hair with water and section and then take a small blob with one finger and rub the pink creme in my hand until it formed a white paste, a little bit really spreads out. I then smooth this through the section and repeat all over my head and leave my curls to dry. I had never heard about the Gro Healthy brand before I attended the CurlyTreatsFest this year and I am so grateful I found them because I am in love with their products. While they may not be sulphate free or silicone free, I adore this curling custard. I tend to use it as a moisturiser while getting my hair ready for bed and find it has amazing slip that makes it so easy to use. I find this product helps to improve the elasticity of my curls and makes my hair feel extremely soft. The scent isn’t too overbearing and the texture is perfect for my fine hair. I use it when my hair is damp as it helps the product to spread evenly throughout my curls. If you think you have hair similar to mine or 3b/3c curls I would highly recommend you try this product. Again another killer review for this brands product because it honestly just works so well on my hair and I will buy it again as soon as I finish this one. I use this product on my hair after the gym once I’ve gotten out of the shower. I apply it to soaking wet hair and then brush through with my Denman brush before leaving it to air dry. My hair feels lightweight and perfectly moisturised throughout the day and I love the scent. I use it every day and it is my new favourite product! Once again I would highly recommend this product it is the best leave-in conditioner I’ve ever used so if you think you have hair similar to mine or 3b/3c curls I would highly recommend you try this product. Even though I wasn’t too keen with the Botanicals Hair Mask because of its extremely liquidly texture, the conditioning balm is a completely different texture and is much thicker, even thicker than a conditioner. Similarly, the conditioner leaves a greasy residue so I tend to use it when my hair feels really dry or matted after a few days of neglect. I also use it to help smooth down any flyaways as it is a very smoothing product. I do like the moisturising properties of this product as it leaves my hair feeling soft and nourished but as it leaves a greasy residue it isn’t typically the first product I reach for. The balm is silicone-free, paraben-free and colouring-free so it makes me feel good to know that the balm is doing good to my hair. I love this product and it boasts 25 hair benefits. The main ones that I definitely notice are improved manageability, lightweight conditioning, helps even porous hair, helps prevent split ends and seal in hair cuticle and helps detangle and moisturise hair. It is sulfate-free, paraben-free and free of heavy-waxes for lightweight, instant results. It is formulated with coconut oil which is one of my favourite oils and helps to protect my hair. This spray can be used as both a leave-in and rinse-out hair treatment. I use it as a leave-in conditioner and I use it as a spray to refresh my hair throughout the week. This allows me to keep my curls bouncy and shiny and makes my hair super soft and silky to touch. This product is also from the same range as the Pure Colour Refreshing Mask. Specifically designed for coloured and dry hair, L’Oreal Hair Expertise EverPure Colour Care & Moisture is a Colour Care System with non-sulphate cleansing and gentle moisturising care. The formulae are enriched with botanical rosemary and juniper oils and leave hair feeling nourished. It is quite a light texture so even though it is a rinse out product, I use it as a leave-in product to help prolong the colour in my hair so I won’t have to dye it frequently reducing the amount of damage I do to my hair. I do this perhaps once or twice a week, not every day. I apply a small dime-sized amount of the product to 2 or 3 large sections of my damp hair and then comb it through with my wide-toothed comb. I received this set after having my hair dyed by Purple Matrix. The Biolage Raw range is supposed to be 98% natural and does not contain sulphates and silicones. The shampoo is made with yucca & goji berry, which claims to help restore shine to stressed, sensitized hair & leaves it feeling replenished. The conditioner is made with Coriander Oil & Kaolin Clay which helps restore stressed, sensitized hair for improved strength, shine and bounce. I haven’t used a product with clay in before and I feel like you can really smell it and sense it from the thick texture of the product. It did help my hair to feel stronger right after being dyed but as I also used the Matrix Ultim8 bond, it could have been thanks to that as well. Overall a nice duo that I will continue to use on my hair. I always like using shampoos and conditioners in sets and recently I have been using the Cantu duo in the photo on the left. Even though these products are minis since I don’t use much shampoo and I have been using deep conditioners with every wash they have actually lasted me a really long time. Nothing really stands out to me about the products, my hair feels clean and moisturised as you would expect after using a regular shampoo and conditioner but as it is sulphate free and also very cheap in terms of products for curly hair (£14 total), I would definitely recommend that if you are just starting out with your hair journey that you start here with these products. I really like the Palmers duo in the photo and for the same reasons as the Cantu products above, these minis have managed to last me a long time. I have only used this once as I am trying to finish my Cantu set first but I really liked how gentle these products are and how soft they make my hair feel. These products leave my curls feeling really healthy and defined and similar to the Cantu duo, I would really recommend if you are starting your hair journey or if you are looking for an economical option. Together these products cost around £10 in total, which is cheaper than the price of Cantu, and personally, these gave me better results. They are also sulphate and silicone free and contain Vitamin E.
Now, this product you can’t find in the shops (as yet…). 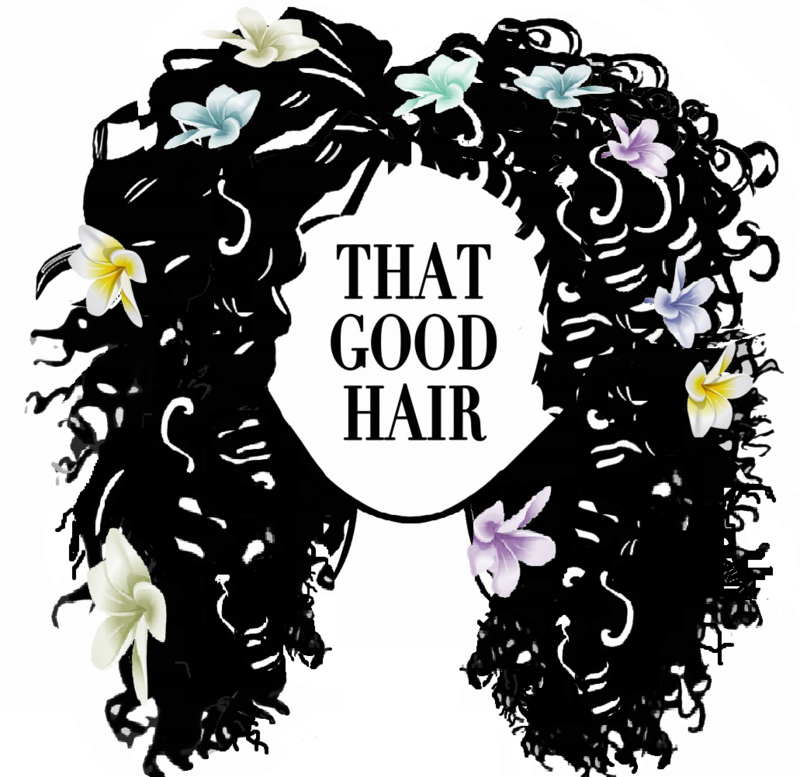 My goal and the reason I started this blog is because I want to start my own hair business, making customisable products for people with curly hair. I have started formulating my own hair products and recently made a few bottles of my first clarifying shampoo which has been amazing especially since I’ve had a bit of product build up. All of my products are completely organic, sulphate and silicone free. This one smells like sweet orange and I’ve been circulating it around my family. Hopefully, by next year, I will have finally launched my own range of hair products for you all to purchase and try and love. Next will be the formulation of conditioners followed my styling products. If my hair is conditioned well then my edges typically lay down themselves and I don’t really fuss over them or I’ll take an eyebrow spoolie and smoothe them down with a little leave-in conditioner or oil. For that reason I don’t really use gel, however sometimes when I slick my hair back, I do like having a gel to hand. I used this product for that exact reason, to slick my hair back, and as it claimed to have expert edge control, I used it for that as well. I was extremely disappointed, however, to find my edges that were once laid, had completely frizzed up by the end of the day while the rest of my hair stayed in place. Just making me look messy and un-put together. If you have curly hair and you dye it, you should be using this. Actually, if you have any hair type or texture, and you dye it, you should be using this. Bond Ultim8 prevents bond breakage during chemical hair process and protects the bonds over time. The formula acts as a buffer for the alkaline agents in the lightening process that preserves the bond while allowing the lightening to continue to happen. When I got my hair dyed, they used the first 2 steps of the process on my hair which can only be used by the salon but once a week I use step 3. I use it as a deep conditioning treatment after washing my hair to help strengthen and restore my hair, especially as dying your hair can increase its porosity. Another blast from the past is my Pink Hair Lotion that has been used on my hair for as long as I can remember. This hair lotion really moisturises my hair, however, after checking out all of its ingredients, I have stopped using it since some of the fragrances used contain chemicals that have been linked to cancer and immune system problems. Despite this, if you do choose to use it, I did like the product. Less is definitely more because as an oil moisturiser I could find it could weigh down my hair and leave it feeling greasy. It contains some great active ingredients like Aloe Vera and Jojoba Oil but unfortunately, I no longer use this product. I hope you have liked this post about what is in my hairband bag. This was not everything because I know I have a few more serums and a shine spray or two but maybe when I get some more products I will do an updated version. I love trying out new products and seeing what is out there. If you do try any of these products please let me know how you found it in the comments and if you have any product suggestions for me let me know as well. If your a hair blogger definitely give this a go and share what is in your hairband bag!